Mark Adams & Associates is ranked in the TOP 1000 among 1.3 Million Realtors nationwide. Call 804.237.8585 or visit us on the web at www.markadamsteam.com. CALL LISTING AGENT, MARK ADAMS, AT 804-237-8585 FOR MORE DETAILS. 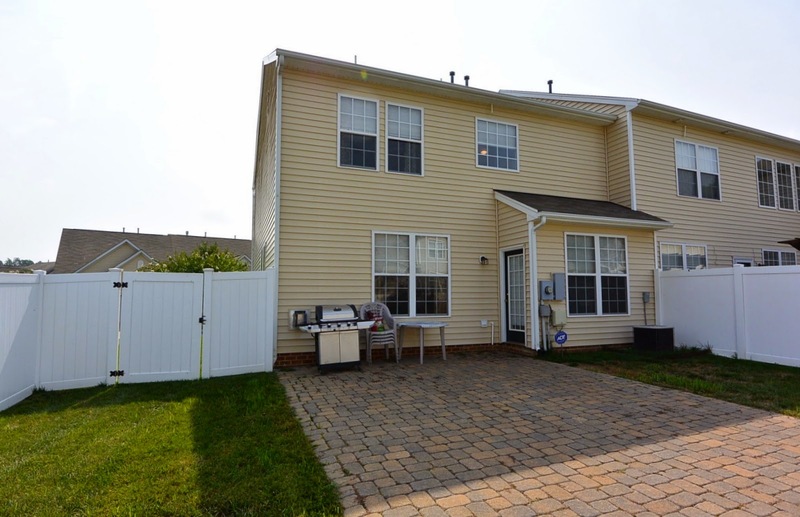 Great end unit with lots of light and a large, fenced yard. Open floor plan with kitchen and dining area flowing into the family room with corner gas fireplace and beautiful arched doorways. Bamboo flooring can be found throughout the first level. Eat-in kitchen has smooth top stove with built-in microwave, pantry, breakfast bar and spacious dining area with access to the patio area. Upstairs you will find a large master bedroom complete with attached luxury bath and walk-in closet. Two additional bedrooms with good sized closets share the hall bath. The laundry room is conveniently located on the second level near the bedrooms. This home is situated on a large corner lot ensuring privacy and offers a fenced rear yard with brick paver patio for easy entertaining. Additional features: 2-car garage, natural gas fireplace and hot water, front and side yard irrigation and ceiling fans in all the bedrooms. The community offers a community pool, tennis courts, club house, walking/jogging trails, snow removal from the street (not driveway), trash pick-up, grass cutting, landscaping and Watermill Lake is just a short walk away.